You are here: Home / DIY & Crafts / Fast & Free Christmas Decor – in Two Colors! 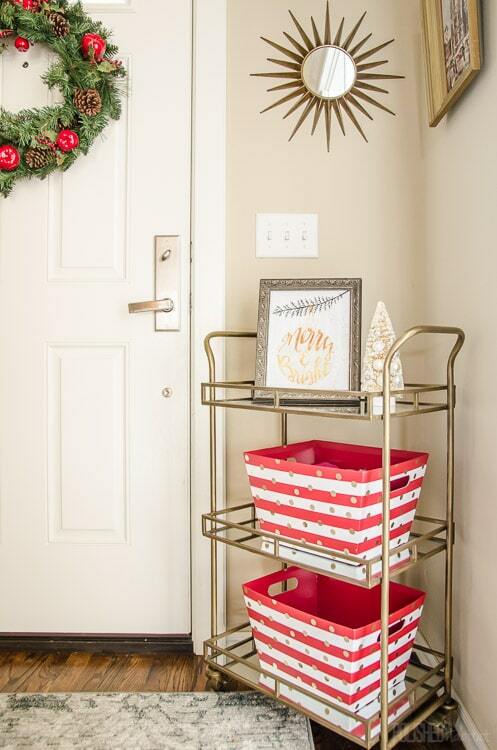 Fast & Free Christmas Decor – in Two Colors! OHMYGOSH. Christmas is approaching like a freight train and I REALLY need to cut myself off from decorating. Considering I don’t have one thing wrapped yet, that’s quickly moving up my priority list. And there’s 2.5 lbs of pecans waiting to be shelled for yummy cinnamon sugar pecan delicious-ness. Mmm! I’m ready to stop thinking about the house and move on to those tasks, along with watching lots of Christmas movies. I fit in one last fast & free decorating project because I wanted to gift you all a little piece of chic holiday decor! I think it’s safe to say this has been the year of pink and gold at my house. 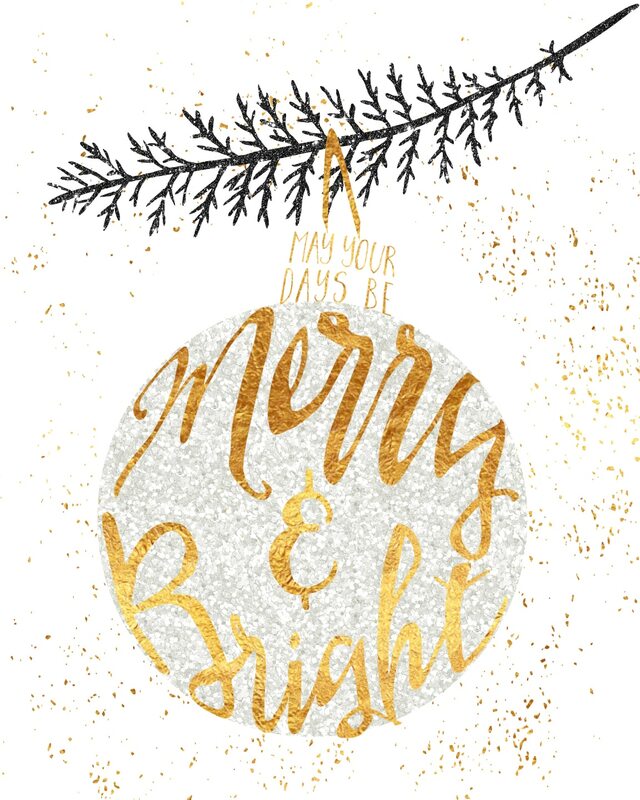 To continue that theme, I have a free Christmas printable in your choice of modern pink or classic gold. I’ll show you how I used them in our house and then you’ll find the links to print your own at the bottom. 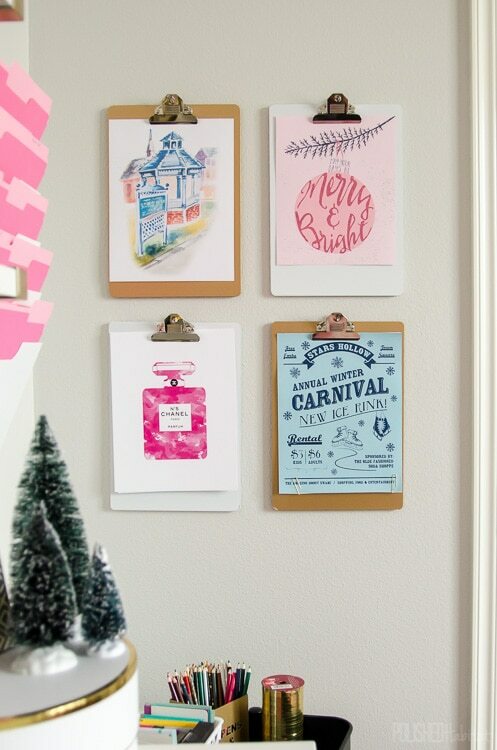 The pink version was perfect for the new clipboard wall in the office. The gold version of the printable was just right in a frame by the front door. I didn’t have this space decorated for the Christmas tour a couple weeks ago, but you may have seen it on Instagram. Those red and white bins on the lower shelves were only $3 on sale at Hobby Lobby last week. I’m using them for extra gloves and hats. The prints are designed to fit in an 8×10 frame, so you’ll have a little white space to trim off the edges of your standard size paper. Click on the links to print your own! I’d love to see how you incorporate the prints into your Christmas decor. Send pictures or tag me on social media (@polishedhabitat)! And if you’re burnt out on decorating this year, but want to use the printable next year, there’s a handy image below to add to your holiday Pinterest board. 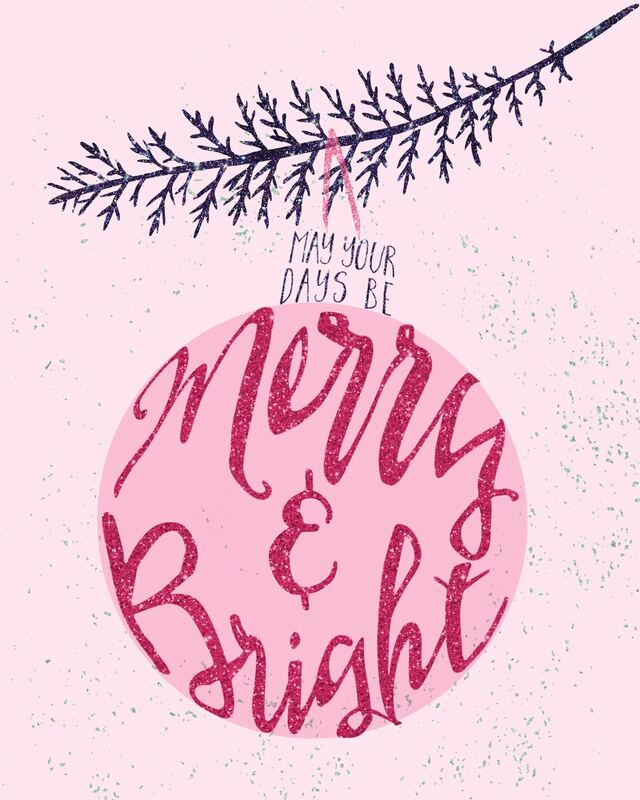 Thank you, lovely lady and …May your holidays be Merry and Bright!